Atlantic Outdoor Pillow CoverAtlantic Outdoor Pillow Cover, Navy alt="Atlantic Outdoor Pillow Cover, Navy"
Print Hit the deck with style. 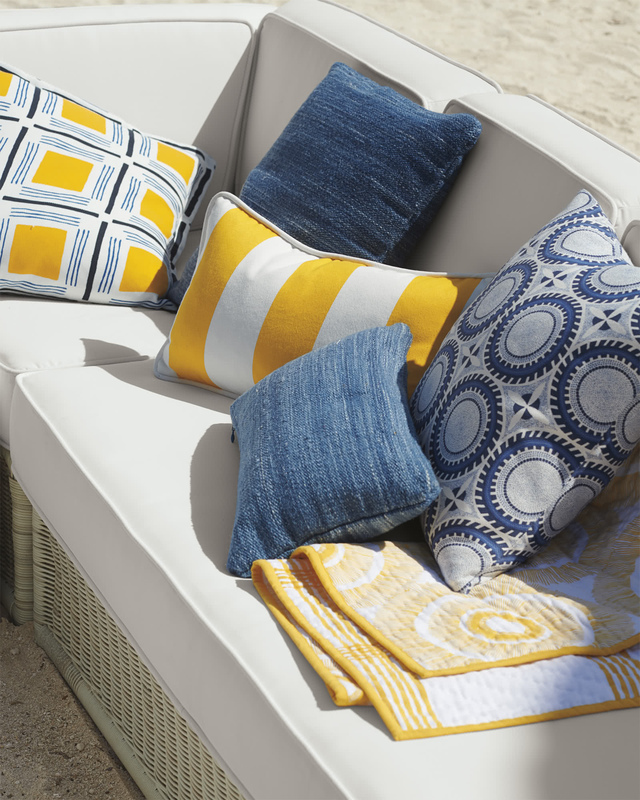 Woven from specially engineered yarns, this resists weather and looks great in the living room, too. 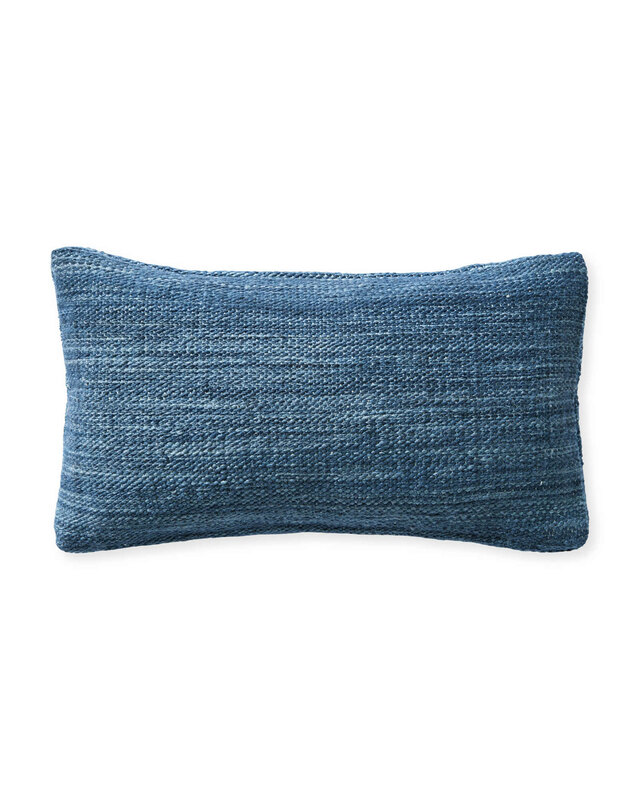 Natural variations in the dyeing process create a nice tonality – and pillows that are one-of-a-kind. Handwoven from 100% weather-friendly polyester fiber. Dyeing technique results in beautiful tonal variations; no two pillows will be exactly alike. Avoid direct and continuous exposure to sunlight. 22”SQ or 12” x 21”. If you have questions about shipping, delivery, or returns, please call our Customer Care team at 866.597.2742 or email us at customercare@serenaandlily.com.